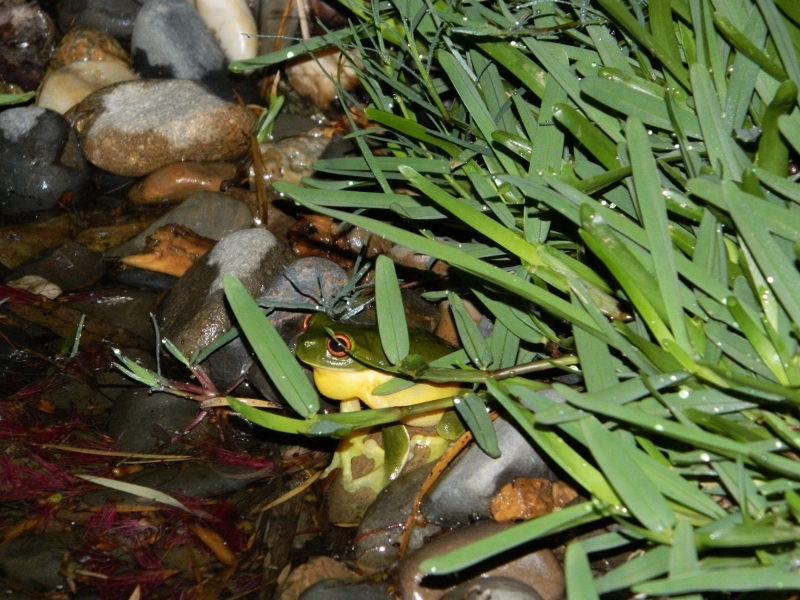 And last night the first frog arrived to check out the new pond – barely five weeks after I finished landscaping the edges. 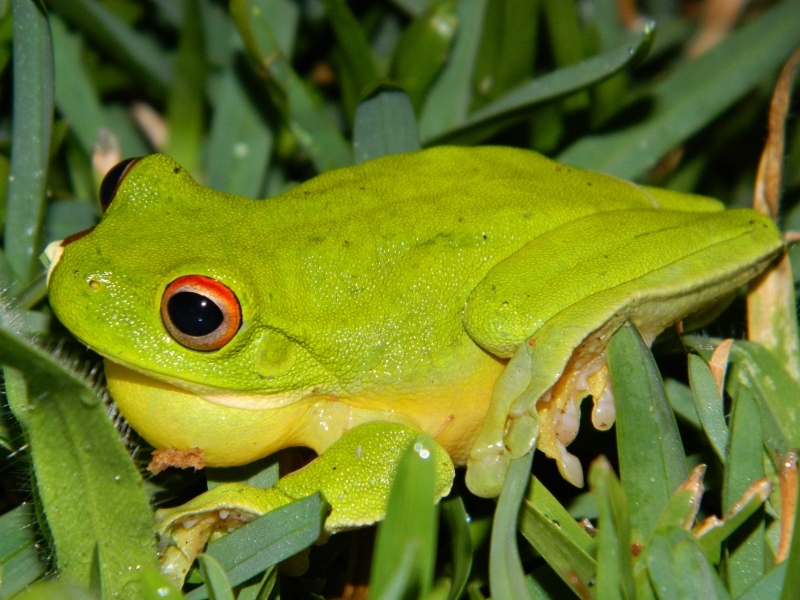 It’s my second favourite frog – the red-eyed green tree frog. I was aware that there was a colony nearby as their calls could be heard in the distance after rain … but I’m amazed they made it uphill and across an open paddock in such a short time. How did they know ????? Sadly, my favourite frog sounds website has been taken down, but I here is a link to a You Tube posting which will tell you why it’s also known as the “raucous tree-frog“. It looks like I might be in for a noisy summer ! !